With a premise this oddly specific and personal, one would be forgiven for believing it to be an allegory for director Federico Fellini himself. In this case, such an assumption would be highly accurate. It’s about a director with a crippling creative block who is attempting to make a film with myriad, blatant autobiographical references. Am I talking about the film within the confines of Mr. Fellini’s universe or the one entitled 8½ that exists in our world? The answer to that question is: both. At this point in time, Mr. Fellini had hit a low point in his life. He hit a creative block, being disillusioned by his line of work while also going through a marital crisis. 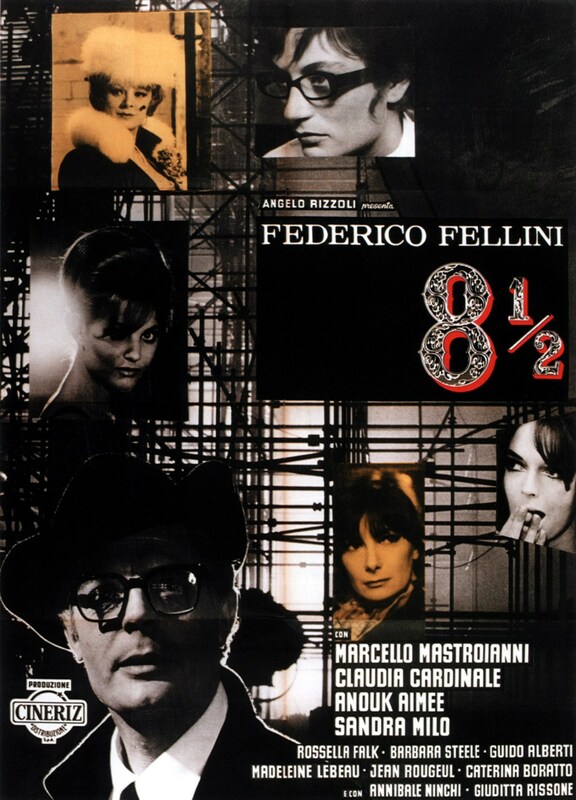 The central paradox of 8½ is that while Guido, played by Marcello Mastroianni, is struggling with the creation of his film to the point where his actors and actresses have no idea what they’re doing, Mr. Fellini exhibits no such problems. The first scene of the film perfectly illustrates Guido’s headspace in addition to setting the overall tone. He is driving in the middle of heavy traffic that doesn’t seem to budge. While this appears to be an ordinary scene at first, he eventually solves the problem by leaving his car and floating away. This daydream of his is dashed when he his associates literally rope him down back to reality. However, even when pressed by his coworkers to continue with the project, his disinterest keeps both them in the dark. Indeed, despite knowing concrete details about Guido’s work, we’re never told exactly what it’s about. Simply by virtue of featuring a spaceship and having constructed an elaborate, expensive set in which to house it, we can extrapolate it’s a science-fiction feature, but other than that, we get nothing save for a few brief glimmers. We’re meant to feel Guido’s creative block, and anyone who has produced a significant amount of content can tell you it’s a strange place to be in. You have so many creative ideas flowing through your head, yet you find yourself staring at a blank piece of paper, unable to form the words. Given that Guido often daydreams and looks back on his childhood experiences throughout the film, you can tell he is not lacking in inspiration, yet his issues prevent him from bringing any of it to life. Another detail I find particularly interesting is the inclusion of the film critic with whom Guido speaks. The decision to include a critic as part of the cast is one that needs to be handled with care. Like anything else, critics should not be above criticism, and including a less-than-flattering portrayal of them can give him advice on how to improve their craft. On the other hand, if the filmmaker goes too far, any meaningful conversation concerning the art of criticism is lost before it had a chance to begin, and the character becomes nothing more than a trite strawman. Fortunately, Mr. Fellini managed to handle the subject tactfully. The critic is harsh and exceedingly pretentious in his assessments of Guido’s ideas, and the film subtlety enforces the premise that following his advice would only result in the director sacrificing his creativity. It stands to reason; even if critics’ words have bit more weight to them, deliberately attempting to appease a vocal minority would drastically limit the work’s appeal. With how it handles the subject, 8½ seems to make the argument that while critics are important and can contribute a good idea here and there, they shouldn’t go overboard and accept that a lot of what they will consider masterpieces are going to be the result of filmmakers going off the rails than by conforming to anyone’s rulebook. Despite, or even maybe because, of its erudite themes, a lot of the absurdity you see in 8½ results in several comedic moments. Just trying to piece together what the film is about itself is highly amusing. Even to those who had been paying close attention, hearing the cast members causally mention a spaceship is incredibly jarring. What makes this work is that the cast members are locked out of the loop just like the audience. Then again, even the director has no idea what he’s doing, making the entire project directionless from the get-go. One of the funniest moments in the film occurs when Guido, having been caught in a lie about ending his affair with his mistress by his wife and confidant, slips into a fantasy world wherein he commands a harem consisting of women who are important in his life. He lives a life of complete luxury until a dejected showgirl begins an insurrection. The way the following scenes pan out seem to bring to mind a vapid soap opera mixed in with a few Hollywood clichés for good measure. It’s especially amusing watching one woman swing across the room on a rope as though she’s Robin Hood. The fantasy culminates in the women dropping harsh truths on him, forcing him to fend them off with a whip. There’s even a moment of black comedy nearing the end of the film. Fed up with the constant delays, the film’s producer compels Guido to review his screen tests, yet he still refuses to make any decisions. Devastated due to his ideas failing to launch and his wife leaving him, he cancels the project outright. After that, he finds himself face-to-face with a frenzied press. Unable to answer their questions, he ducks underneath the table and shoots himself in the head. That’s not what really happened. Instead, the press has nothing but praise for Guido’s wise decision, which culminates in the expensive set for the spaceship being destroyed. The set could be read as a metaphor for the barriers Guido set up between himself and his loved ones. Its destruction could therefore be seen as him finally willing to accept his mistakes and make a fresh start. To fully celebrate this, everyone from his past arrives on the scene after the spaceship is transformed into circus by a group of musical clowns. Guido directs them into a circus ring, and acknowledges their importance in his life by joining their dance along with his wife. 8½ is considered to be one of the greatest films about the medium itself. As it’s often billed as a surreal comedy, it’s highly fitting that one of the greatest jokes exists on a meta level. This is a story about a director with a severe creative block, which is exacerbated by a failing marriage conceived by a director with a severe creative block, which was exacerbated by a failing marriage. Not unlike how multiplying two negative values yields a positive value in mathematics, Federico Fellini, at his absolute lowest point in his life, created success for himself by filming a failure. Watching it with the knowledge of its production lends itself a degree of dramatic irony that transcends the narrative and into reality. If you fancy yourself a cinephile, you owe it to yourself to watch this film. Then again, I could easily recommend it to anyone seeking a gateway arthouse film. All the trials and tribulations directors go through in order to get their work to the silver screen are depicted in this film. In the best possible sense, it is a product of the circumstances surrounding it, requiring its visionary creator to be in a specific situation to manifest. Had any of these variables been even slightly different, the film would never have been made. Its profound influence on the medium speaks for itself by this point, and it is absolutely deserving of its lofty status. This is one of the classic cineaste’s films I’ve yet to watch, purely for fear of not enjoying or being able to get into it like others have…. I can understand having an aversion to a work because of the sheer amount of hype surrounding it. I personally feel knowing if a film (or any other work, really) lives up to the hype is better than not knowing. As much as cinephiles love their consensuses and shun independent thinkers, some beloved classics just aren’t going to click no matter how hard you try. 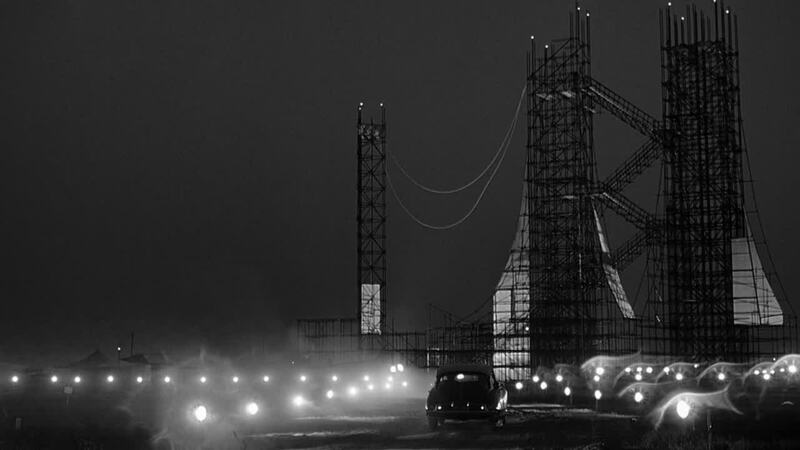 Fortunately, 8½ more than lived up to the hype. In fact, one of my favorite aspects of it is that it seemed to poke fun at the archetypal Serious™ critic/cinephile. In that respect, it was way, way ahead of its time. I tend to know of the critical consensus rather than what people have specifically said about a film, so the answer is: a little of both. That being said, hype factors very little into my assessments. If anything, I want to say there have been more instances in which I was impressed with a hyped work than disappointed. I will say that when it comes to films historically considered good, I have yet to come across one I didn’t think was at least average. It’s modern films that seem to have a larger potential to be total letdowns. In short, I can see why some would have difficulties separating the work from the hype, but I don’t think I’ve ever had that problem. When I started, I would only review popular games if I had a negative/mixed opinion of it, but now I realize the importance of praising popular works – sometimes, the hype can make a legitimate assessment tricky. 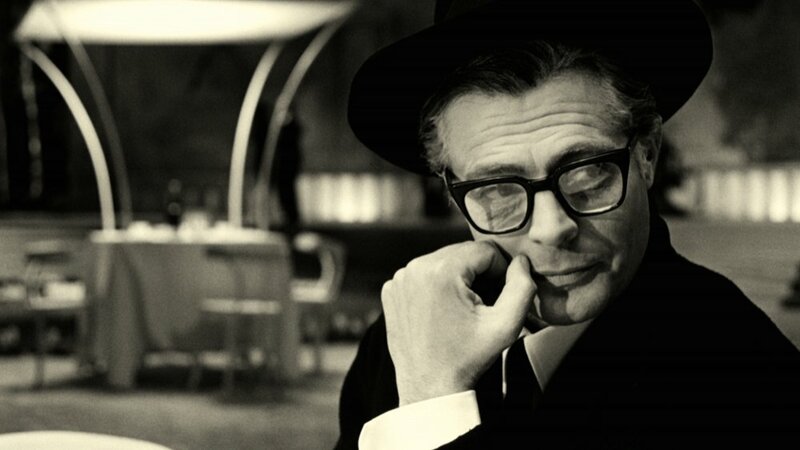 Either way, 8½ is a film that is worthy of its lofty status, so if you haven’t seen it, do so.